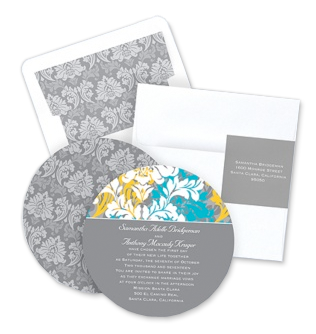 Find the Perfect Wedding Invitation! Love is in the air! Express and celebrate your love with fine wedding stationery and accessories from Print 'Em Now. From traditional classics to contemporary trends; there's something for everyone. Just click the link and start planning your perfect wedding! We do however offer more the just invites... take a look below at the many options we have for your special day! We understand that planning for a wedding can be very hectic and stressful and we are hear to help. Below you will find links to a few templates (pdf form) you can fill out to better understand what you are needing and how we can help. To start planning your wedding or if you have any questions, please contact one of our representatives either by phone or email.